EthelFest 2011 songlist updated on the Shows page. Highlights include The Battle of Epping Forest, which the band has not played since 2003, and the new addition of the song Entangled! 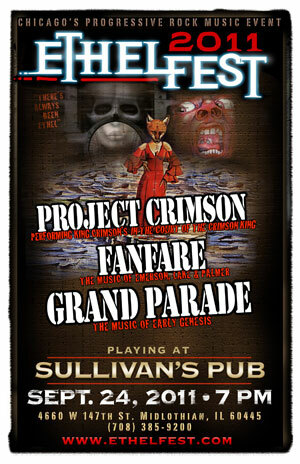 EthelFest 2011 is in the works and the line up is Projekct Crimson (King Crimson), Fanfare (Emerson, Lake and Palmer) and Grand Parade headlining. Check out www.ethelfest.com for details and updates. 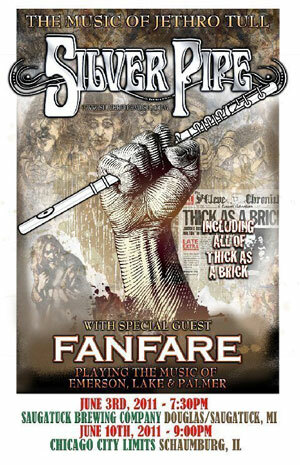 Bill Harrison and Brian Harris are working with Silver Pipe the Jethro Tull tribute and are currently performing Thick As A Brick in its entirety. Brian Harris, Roey Ben-Yoseph, and Bill Harrison have put together Fanfare, a tribute to Emerson, Lake and Palmer.